“I just found the best bundt cake recipe in the entire United States,” so said my grandmother as she handed me a piece… she tends to modify recipes often, adding a bit of this and that along the way. Some yogurt here, some honey there. So you’re never quite sure how it got to be so spectacular… something in her kitchen air. I thought I’d share grandma’s bundt cake recipe for you to enjoy, what do you say? The little bundt cake holes can be filled with flowers… which she likes to do. 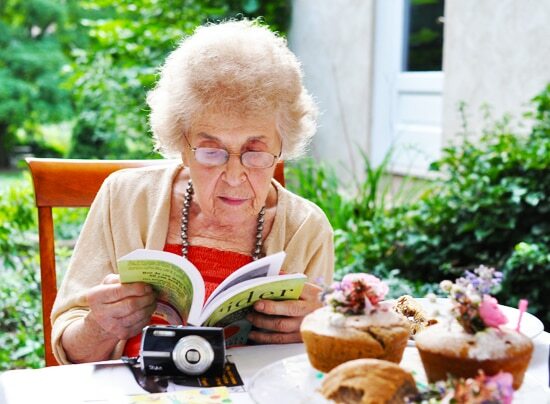 She also likes to read about cider… and other wild edible things. And she likes to take pictures. Did I mention she’s a photographer? Preheat the oven to 350 degrees F. Butter three small bundt pans (or one large bundt pan - see note) and set aside. Blend all of the ingredients in a food processor until the nuts are powdered. Add the eggs and blend again. Pour into the prepared pans, place in the oven on the middle rack and bake for 30 - 35 minutes. Let cool for 10 minutes, then remove from the pan and cool to room temperature. Sprinkle with powdered sugar, slather with frosting, leave it be... whatever you please. Grandma Pellegrini says: "that it shoud be mixed in two batches, and each batch goes into a round layer pan. I'm afraid it might not cook through in a deep bundt pan. It was just that I wanted two cakes for the two birthday boys so used those two small 'bundt' pans." So if you do decide to experiment and use a large bundt pan, adjust your time accordingly! Oh Greg, that is so very happy. Love it. And love you too. Even though I don’t know you. Is that weird? Its so helpful of you to post recipes. I am always looking for something new to bake. I am a strong proponent of the meditative nature of cooking deliberately and well. I can plainly see they’re works of art which is not unusual coming from you, your grandmother, and my cousin. I wish you both were regulars on the Food Network. A mighty good bundt cake that looks like. Really? Only 4 TABLESPOONS of flour? How can that be? Indeed! The eggs and hazelnuts hold it all together beautifully. It’s like almond flour but… “hazelnut flour.” If you have a sweet tooth then more sugar is the only adjustment I’d make… Grandma Pellegrini doesn’t like sugar. Thanks Georgia and Grandmother Pellegrini. I can’t wait to try it. Just gave it a whirl. Absolutely divine!!! I am impressived by your past endeavors and excited about what the future holds for you. Do you have to get the little brown skins off the hazelnuts first? If so, how? To remove the brown skins toast the hazelnuts in a moderate oven for 6 or 7 minutes; when cool enough,rub them between your hands and the skins will fall off easily.Not really necessesary to remove them. Think I might add a bit of Grand Marnier. 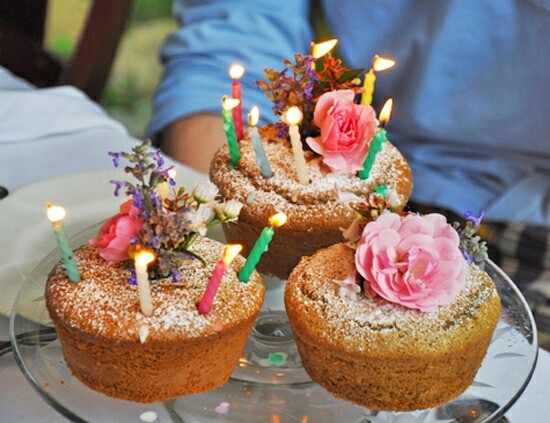 Those cakes are so charming… that is great your grandmother is a photographer… way to go! Today I.m making it again in honor of another sprcial birthday. I.m trying equally easy frosting recipie . Will share it soon if it is a success.